Is the industry in a sufficient state of flux to describe it as moving into a new epoch? A recent SPE (Society of Petroleum Engineers) meeting I attended was called ‘Oil and Gas Industry in a New Epoch’. It got me thinking – is the industry in a sufficient state of flux to describe it as moving into a new epoch? Over the past century or so the business of exploring for and producing oil and gas has developed into the cyclical industry we know now, with most recessions in the industry precipitated by oil price downturns together with major geopolitical events. So what is different about this one? Is it just the ‘lower for longer’ theme, which seems to be accepted by the majority, and which some commentators have suggested represents the oil price adjusting to a more ‘normal’ level, after a decade or so of over inflated prices? There seem to be a few other factors at play, which suggest we may well be in a situation which is indeed different. The ‘fracking revolution’ in the US has certainly been responsible for major changes in recent years, including the significant concept shift which enabled us to think of source rocks as reservoirs; completely accepted without question now, but a revolutionary, possibly laughable, idea not so long ago, and one which required radical new engineering and production concepts to implement. But unconventional exploration’s main contribution to major changes in the industry since the downturn has been to become much more efficient at producing hydrocarbons at significantly lower costs. Increases in efficiencies have been found to follow major oil price hiatuses in the past – so maybe not epoch-changing material there. However, it appears that many people are seeing that the fundamentals of the business are being challenged. More and more, oil and gas companies are describing themselves as energy companies. Unable to replace their liquid reserves through exploration, they are looking at alternative energy sources, encouraged, particularly in Europe, by the need to assist in the creation of a low carbon economy. 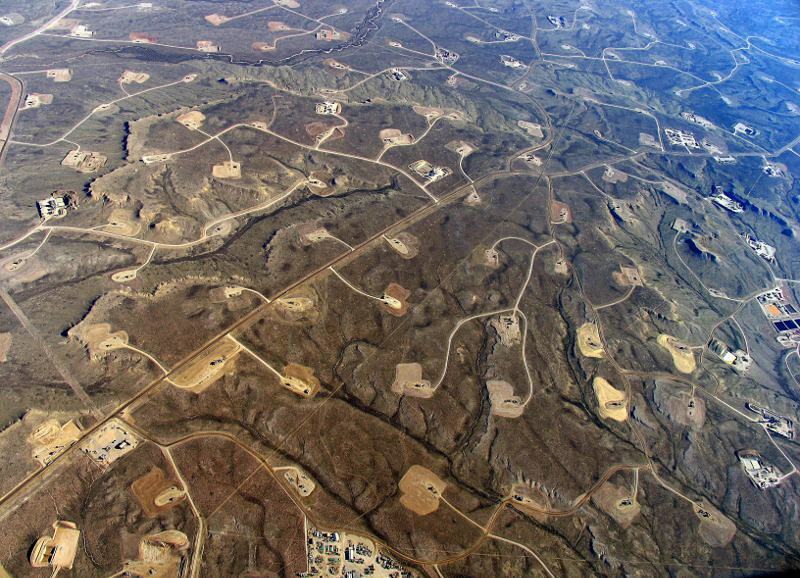 Aerial view of oil wells in Wyoming. (Source: Bruce Gordon/EcoFlight.org) Significant collaboration across different sectors of the industry is also a feature of changing business ideas. Everyone agrees that innovation is needed to keep the industry moving forward – but innovation means risk, and a good way to deal with risk is to share it. Thus we see service organisations like seismic companies involved with newly set-up exploration firms, while service companies from different ends of the industry are pooling resources with exploration companies to find efficient solutions to issues which they may previously have followed independently; a positive effort to prevent continuous ‘reinventing of the wheel’. In recent years a whole new sub-industry has built up around decommissioning defunct fields and their infrastructure, an issue which was always going to have to be addressed, but which for many years we found convenient to ignore and put off until a later date. It's now being realised that this is a subject which offers major opportunities to both existing and new companies, and an area which may contribute towards changing the economics of the industry. And finally, there is the present geopolitical scene, which is impossible to predict, but which has the potential to cause even greater upsets to a worldwide industry like oil and gas. 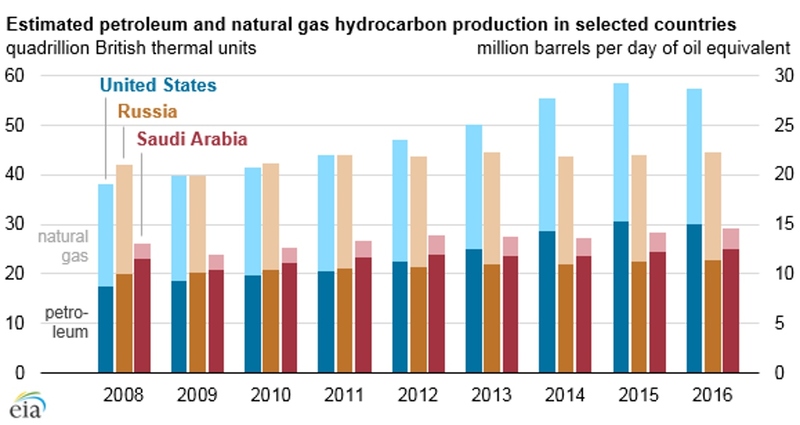 For many years the huge reserves of the Middle East held sway, but political disruption in much of the Arab world combined with the economic rise of China and the meteoric increase in hydrocarbon production in the US have thrown all the old certainties away. Does all this constitute a new epoch? What do you think? Niels Bohr famously said that 'making predictions is very difficult, especially about the future'. In the modern world has this maxim ever been truer? It's the hottest topic of conversation around the office water cooler and everyone has an opinion on where the oil price will go next. Now we are giving you the chance to demonstrate that you have your finger on the oil industry pulse by inviting you to predict the oil price and to win an Amazon voucher.